The economic stimulus package includes the arts! 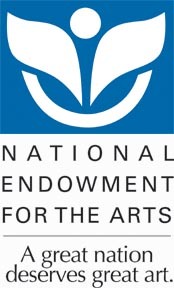 That means New Hampshire's share of the $50 million allocated to the National Endowment for the Arts will be on its way to the State Arts Council for granting to nonprofit arts organizations. We’re expecting at least $200,000 from the National Endowment for the Arts to spark the state’s creative economy. The NEA is working out the guidelines for the allocation of the funds, we anticipate that the requirements will include the creation of jobs and that the money will be distributed as an addendum to operating grants. This means that the most likely way for arts organizations to be eligible for stimulus funds is to apply for an operating grant. To help you all do just that, we've extended the application deadline to Thursday, April 9, 2009. Note: We'll also waive the requirement that requires applicant organizations to have a full-time administrator if the grant application requests funds to make a part-time administrator full time. For guidelines and an application, visit http://www.nh.gov/nharts/grants/organizations/operating.htm. Once again, if you want to eligible for money from the federal economic stimulus package, you must apply for an operating grant. Apply, apply, apply!